Dorito, aka Slatex Doritos, is an almost 4-year-old fawn brindle male born August 12, 2010. His sire is Kiowa Mon Manny and his dam is Slatex Mineola. 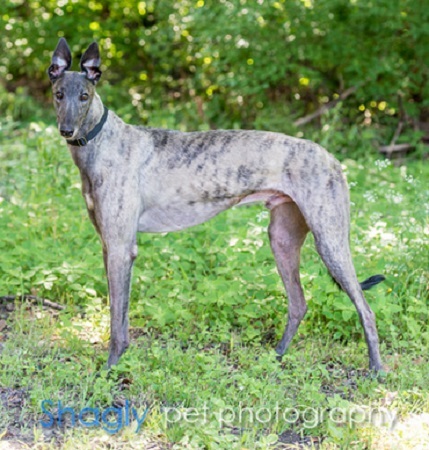 He has 107 races on record at Greyhound-data.com, all at Gulf Greyhound Park, starting in March 2012 and finishing up in May 2014. 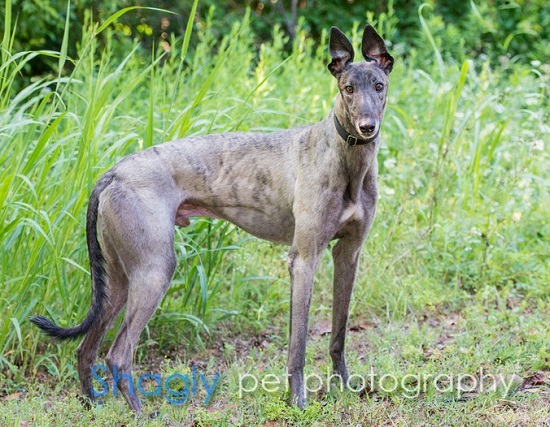 Like his namesake chips, he might show you that you can't just have one greyhound! In fact, he needs companionship during the day - he is not suited to be an only dog. Dorito should not live with cats.